"Durability, comfort, masculine style." 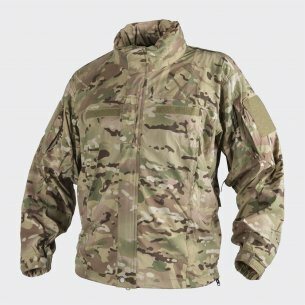 The Helikon-Tex clothing company is a producer of survival and outdoor clothing, gaining popularity and its own group of regular customers. It is a Polish company operating on the market since 1983, and currently appreciated mainly for a wide selection of cuts, including its own designs. 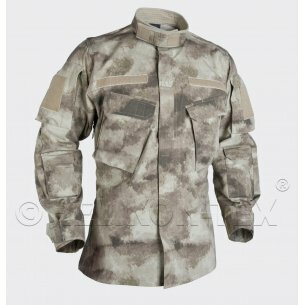 The offer Helikon-Texu we find clothes in fashionable colors and in professional camouflage (eg CAMOGROM). The company mainly produces military clothing, but not all of their designs will be appreciated only by soldiers and other uniforms, because the offer includes many cuts with less suggestive military motifs. In addition, a very large number of people like in camo clothing - it's their style. Let's look at one of the less military-looking clothes proposed by Helikon-Tex. 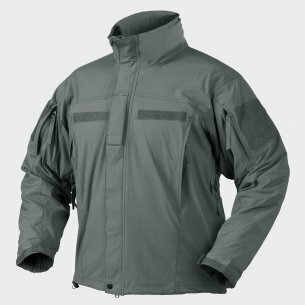 This is a jacket model called Delta, which is the most recent project in the company's offer. The product type is softshell - windshirt. Of course, this is not a product intended for people who are closely associated with military equipment. The jacket can also be recognized by people who practice extreme sports. It was made of a two-layer, flexible material. This is Shark Skin fabric (100% polyester), which provides insulation at a very high level, and above that it protects against wind and does not allow moisture penetration. In case of such tight clothing, proper ventilation is important. The jacket ensures a high level of breathability, so we do not have to worry about overheating or chafing. The water resistance of the jacket is further enhanced by the coating that is covered by its outer side - Teflon® DuPont ™. This coating protects not only against water, but also against dirt; it does not allow dirt to penetrate into the fabric, which means that the tap stays clean longer and does not cause any problems. From the inside the jacket is covered with a soft fleece, which makes wearing such a durable clothing comfortable and pleasant. In addition, the inner part of the material is covered with a special mesh. Everyone who works in the field needs a lot of space for the most-needed, handy items "for everything" that you always have to have at hand. Thanks to the Delta jacket, we will not have to invest in any additional straps and handy zipped bags, because the jacket has three inside pockets, one chest pocket and two lower pockets. They are all capacious and zippered so that their contents never fall out of them accidentally during sudden movements. 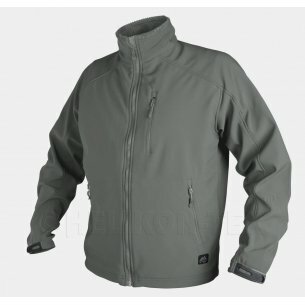 An important feature of the product is that the jacket has a thermal strip and chin protection, and in addition we can use a high collar with a soft fleece, warm lining. The jacket will easily be able to match individual shapes and needs, due to the elastic regulation of the circumference at the bottom of the jacket and adjustable Velcro cuffs. The whole product weighs only 680 grams, which is very satisfactory considering the reinforcements used in the design, present in profiled elbows. In the shop at this address: https://hwesta.eu/pl/52-delta Delta jacket is available in two classic colors - Jungle Green and Foliage Green. The cut of this product itself is not a tactical one, but it is perfect for outdoor operations. Thanks to its shape and unobtrusive finish, clothing can turn out to be a perfect camouflage for activities that need to effectively hide the user's identity. On the website dealing in the sale of the jacket we will find accurate size tables, so I encourage you to read them. Clothing is available in sizes from S to XXL, so everyone should make satisfying purchases by finding their perfect size. Men's Delta jacket by Helikon-Tex is an excellent choice for anyone looking for good, resistant and solid clothing and a real rarity for those dealing with military affairs. 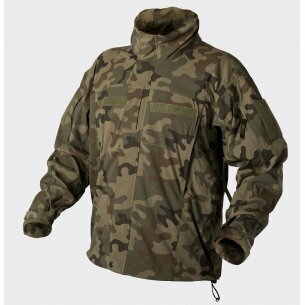 Outdoor enthusiasts will not find a better offer of survival clothing at such a bargain price. It is worth giving opportunities to military clothing not only because of the unique cut and resistance to adversity, but also because the clothing is a determinant of everyday, original style for many people. Perhaps you should look for inspiration for everyday stylizations in camo products, and who knows, maybe soon there will be a set of military clothing in every wardrobe; because why not? After all, each of us sets its own, different fashion.